Don’t talk to me. 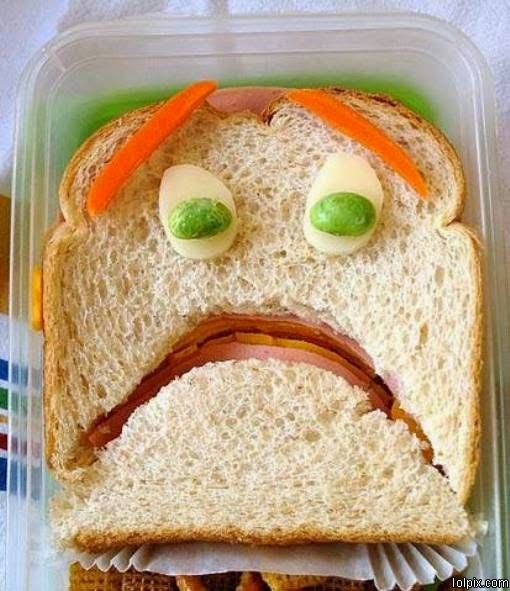 Have you seen my sandwich? This past weekend we had a huge fundraiser for work. We raised over a million dollars and it’s important, because a small small part of that is my salary. Walk around with a drink talking to people? I’ve been practicing for this my whole life. I double up on the practicing. One can’t be too prepared. The night of the event the hall for cocktails fills up. I mingle. I approach couples, groups of people, people by themselves. ANYONE. Like it’s my job. Everyone leaves the hall and heads downstairs for the $500 a plate dinner. We were told ahead of time that there will not be enough seats for staff for dinner and the staff who do get to have dinner will be chosen based on seniority. So I knew I’d be out of luck. I look at the sandwich. Should I take it back to the coat check? I might miss out on getting seated for dinner. I hover near the exit, sandwich by my side. There’s a seat for me. I’m directed to a table. I hide the sandwich in the folds of my dress. The men stand when I arrive and wait until I’m seated to sit. That’s never happened to me before. I make a split second decision. The sandwich was great, but 8 hours of unrefrigeration later, who knows. I kick it under the table.